The ultimate dream eva! 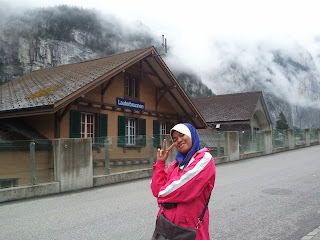 Switzerland!!! Destination: Jungfrau. 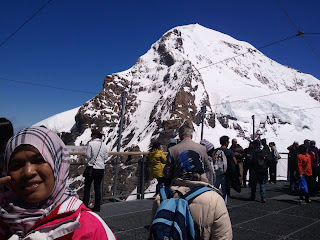 As mentioned in Wikipedia "
The Jungfraujoch is a col or saddle between the Mönch and the Jungfrau in the Bernese Alps on the boundary between the cantons of Bern and Valais, inside the Jungfrau-Aletsch Protected Area." 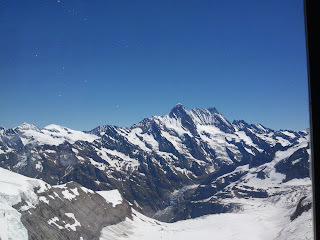 I'm here for the snow. It's snowy all year around, even in summer. Blessed to be here! 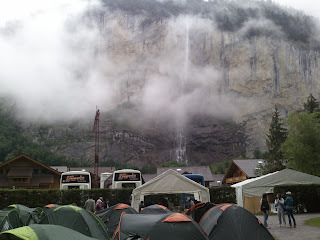 Our campsite is located at Lauterbrunnen. Pretty sight, rite? 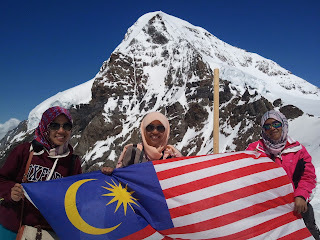 Still misses this place. 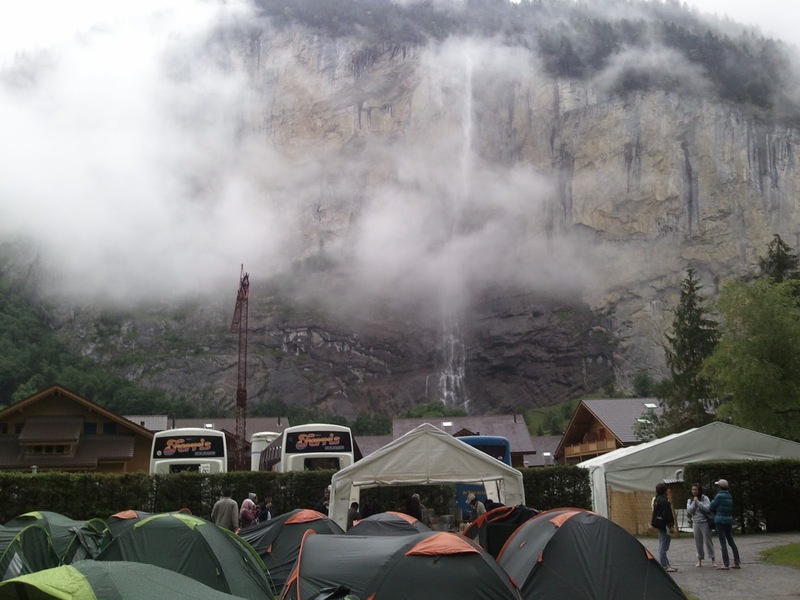 Imagine this, waking up, breathing fresh air and waterfall right before your eyes....just like a dream...except is't freaking cold!! 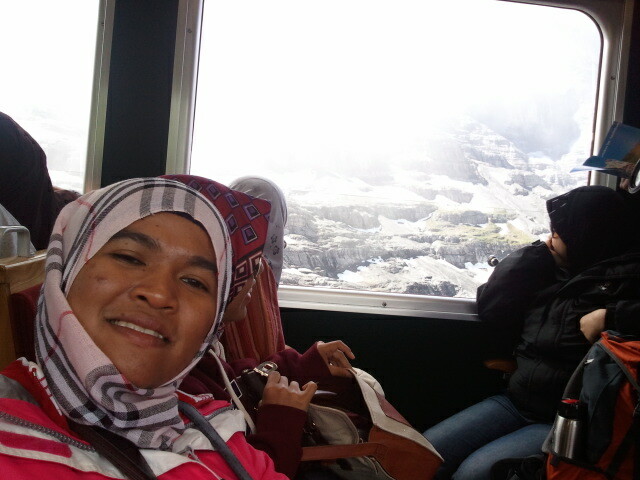 And due to unavailibility of cabin, had to camp out. But it was fun. Still cold but ok, still bearable. Well, I had to put on layers and layers of clothing. 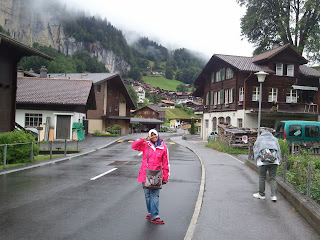 The first day here, we explored the town of Lauterbrunnen and went to Trummelbach waterfall.